The concept behind Olindo is to reflect our shared musical tastes, and to release music we love that might not be getting enough attention, for both home and the dancefloor. With their Boom Music show and various club nights and events, music collective Colectivo Futuro are stalwarts of the London music scene. Set up by friends Miguel Colmenares and Oliver Brunetti, the pair have launched a new venture in Olindo Records. We touched base with Miguel and Oliver to discover the joys and perils of launching a label, and to discuss their recent artistic collaborations. Q) It’s been awhile since we’ve caught up. What been happening in the word of Colectivo Futuro? MC: A lot has been happening in the last couple of years! Aside from organizing our regular DJ events and collabs with the likes of UNiTY, we set up a label in spring last year and we’ve just released our 4th record. We have also been doing our Boom Music radio show for Music Is My Sanctuary since October 2016. OB: Our website has obviously taken a slight backseat to the label but we’ve continued to publish mixes by DJs, selectors, musicians, etc., who we thought could bring something interesting, such as Emma-Jean Thackray, Buk’z and Pocz, and the same goes for visual artists and the interviews we’ve shared. We’ve also been contributing more to the online music magazine Music Is My Sanctuary, and sharing a regularly updated playlist of new music we feel is worth sharing. Q) What motivated CF to set up a record label and what’s the concept behind Olindo Records? MC: It’s something we wanted to do for the longest time, but wasn’t until we caught a live show by Venezuelan band Monsalve y los Forajidos at Rich Mix in 2015 and hearing their 2nd album, titled Volumen 2, that we were convinced we had to start the label and release their music. OB: Miguel and I had been toying with ideas for a few years and finally it came together very organically. I suppose the concept behind Olindo is to reflect our shared musical tastes, release music we love that might not be getting enough attention, for both the home and dancefloor, particularly on vinyl but available digitally and so on, with a keen eye on the visual side / artwork —and of course plenty of consideration for the sound quality, hence asking the brilliant Carvery to master our releases for vinyl. Q) The label represents a global sound. How have you selected the artists you’ve been working with? MC: So far every record features at least one Venezuelan musician and even though that isn’t a must for us to release music on Olindo it’s been the natural course the label has taken after releasing the Monsalve y los Forajidos 7”. Basically each release has led to the next one through personal connections. OB: Exactly, I think relationships have been the key so far. It might sound cheesy, but it’s people, not only the music, that makes it all worthwhile. Also for our first three 45s, we settled on a loosely Venezuelan theme, with shared artwork from Gaurab Thakali. It was a must to work with Gaurab Thakali, after seeing his jazz inspired artwork, and we’re really glad to see his star begin to shine now. Q) All the releases are accompanied by striking visuals. What’s the importance of art & design for the label? MC: One of the reasons we started Colectivo Futuro in the first place was to emphasize the connections between the audible and the visual. So naturally, when starting the label it was super important to have the covers designed by artists we admire. OB: It was a must to work with Gaurab Thakali, after seeing his jazz inspired artwork, and we’re really glad to see his star begin to shine now. Emily Evans too, we fell in love with her work first, many moons ago after seeing her mixtape covers, and she’s since become a close friend and collaborator, not only behind her Mac but the decks too! Q) What has been your most exciting accomplishment so far since launching a label and the most challenging? MC: For me the most rewarding thing is by far being able to release music that represents both my current tastes and my Venezuelan upbringing. 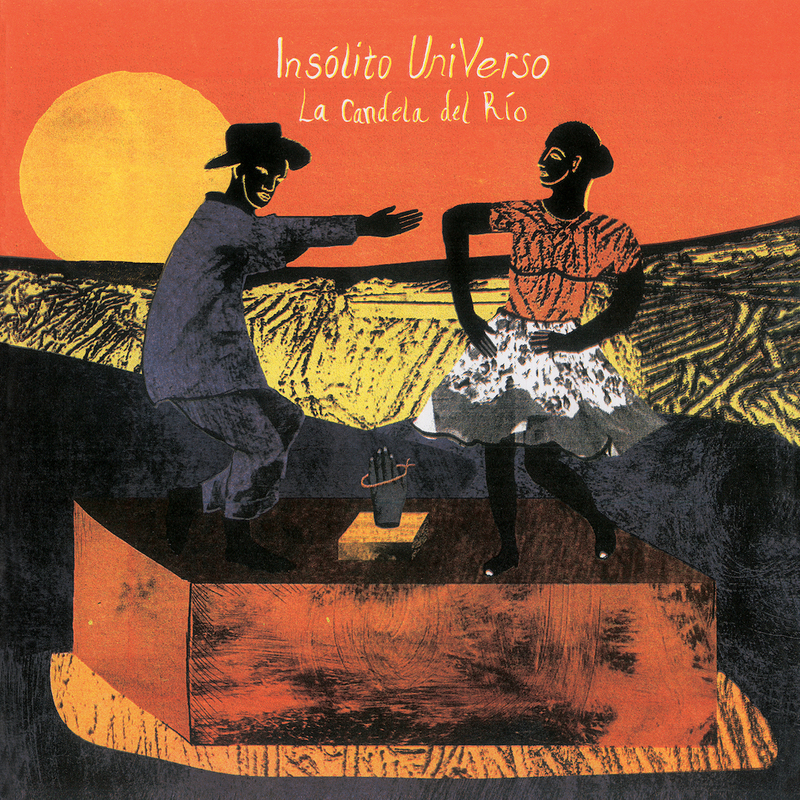 Our latest album by Insólito UniVerso feels like such an achievement because it’s not everyday one gets to hear new music from my country that is not flat out commercial or very traditional. On the flip side, the biggest challenge is running all of the aspects between two people who have full time jobs, from accounting to distribution everything is done by Oli and me. OB: The most exciting thing to me has been the experience of breaking music we love, to brand new audiences for the artists and musicians in question. 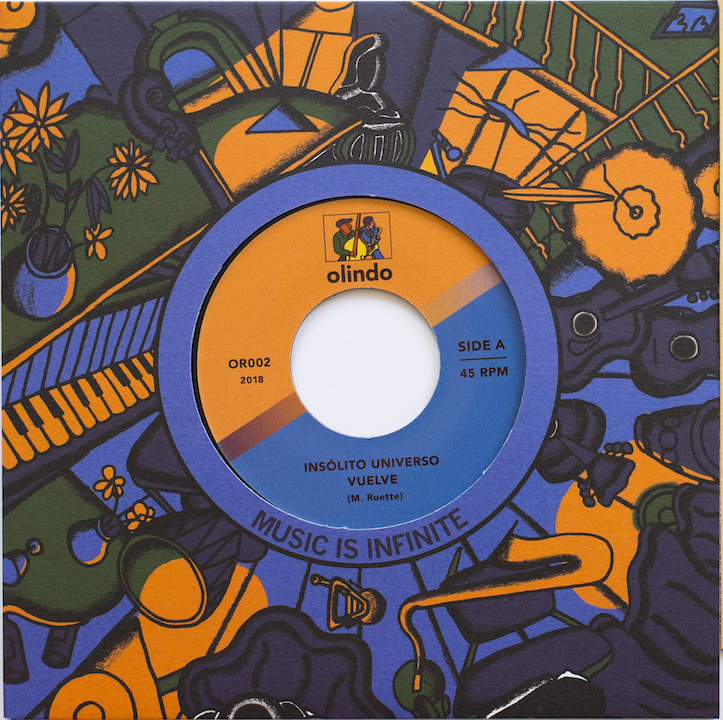 For example our first 45, from Monsalve y los Forajidos, that was picked up by DJs across the spectrum – Latin, jazz, hip hop, funk, house – and from around the globe, and now with Insólito UniVerso’s LP, which sounds so niche on paper, finding fans not only among our favourite DJs & broadcasters, but also incredibly wide platforms such as The Vinyl Factory, Bandcamp Weekly, Tiny Mixtapes and Noisey. It has often felt like an immense learning curve, or a jigsaw puzzle, as we figure it out each step of the way, and when one thing doesn’t work, we try something else. I’m also immensely proud to be sharing such unique and amazing music. 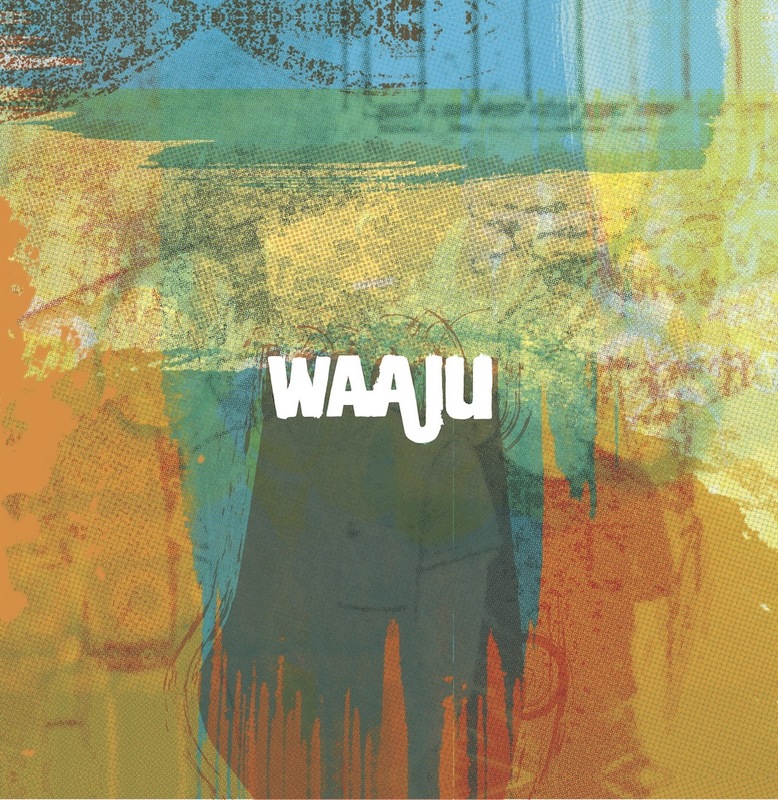 Watching Insólito live, I don’t think I’ve enjoyed a concert more this year, and I believe Waaju’s LP deserves to be heralded as one of the best jazz albums to come out of the UK in a year in which the scene seems to have rocketed into hyperdrive. As for challenges, I’d add to Miguel’s comments that it has often felt like an immense learning curve, or a jigsaw puzzle, as we figure it out each step of the way, and when one thing doesn’t work, we try something else. Q) What are the future plans for Olindo Records? How would you like the label to develop? MC: We have one more 7” lined up, which should be out early next year and it’s by another Venezuelan artist. After that one, the plan is to continue releasing music by the artists in our current roster, but we are always open to hearing new music from other artists. In the short term, we’d like to keep building a consistent catalogue of releases and seeing our artists grow with the label. OB: Not much to add to that but I hope we’ll continue to be build upon not only our current catalogue but our reputation, attracting more & more listeners to these artists. Also very excited to move into remixes, starting with our next release, in 2019. Q) What’s on the CF playlist at the moment? OB: It’s funny you ask, as we have just updated our music worth sharing playlist. A pretty wide, multi-platform playlist made from new releases over the last few months, that cover all our current tastes. From leftfield hip hop to experimental Brazilian funk. Also have to reference our recent end of year, 2018 round-up Boom Music show for Music is My Sanctuary featuring some of our favourite new records from past year. We also had the pleasure, recently, of covering the wonderful Zakia Sewell on her Questing show for NTS and I think the result is a pretty good example of much of the listening we do at home. MC: We just celebrated the Insólito UniVerso album release with a live show on the 30th of November at Servant Jazz Quarters and another in Paris on December 20th at Cirque Electrique. In the new year they are coming back to the UK for a show at The Rose Hill in Brighton on the 24th of January and then supporting Liberez at New River Studios in London on the 27th. OB: I also want to mention our Musica Boom party we hold every 2nd Saturday evening at Matilda’s Sake Bar in Clapton, our next Brilliant Corners takeover on January 20th, with special guest from Chicago, King Hippo. But most importantly, JAMuary 6, annual jam we co-host with UNiTY in the Community, who invite dancers from all over the world across numerous scenes to get down together in London to our resident and guest DJs and a soon to be announced live band that might have something to do with the aforementioned Raul Monsalve. Taking place at Studio 9294 on January 26, advance tickets are available now.